I’ve tried to get a blog going a few times. “You have to have a blog if you’re going to X….” I’ve seen written so many times as advice. It’s only by focusing very clearly on what I might have to offer that I find it easier now. I’m interested in pain. Specifically helping people in pain get out of pain. I’m not happy with the direction that care for people in pain is taking and think it’s worth putting forward an alternative view. In plain English. Physiotherapists and other medical providers who want to discuss how musculoskeletal care is delivered in this country, the UK. And who want to change it to be much more effective. This site is also for people who have back pain, neck pain, chronic widespread pain and any number of other pain problems. For those who struggle with their lives due to pain. For those who have not been given the time to tell their story. For those who have not been listened to. And for those who don’t know where to start. I have tried durian and it was weird but ok. And it repeats. A lot. My dad was in a lot of foreign countries when revolutions and disorder occurred. I think he was a spy. I get on well with children and dumb animals. Cats tie me down by lying on my lap. 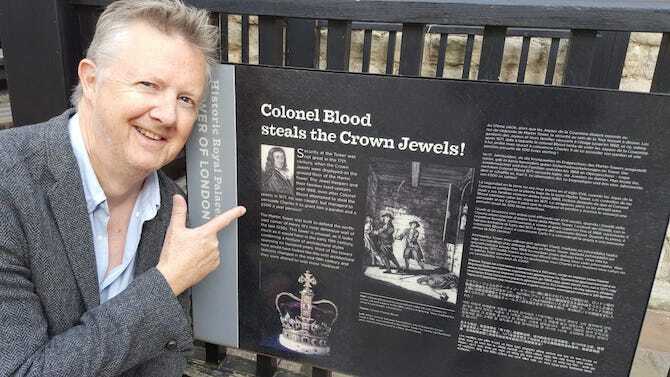 My ancestor stole the Crown Jewels in 1671. The king forgave him and awarded him a pension. I think he had the gift of the gab. I produce linocut prints not very well. I’m good at starting things. And finishing things. Unfortunately they aren’t always the same things. Favourite composers are Sibelius, Dvorak and Bruckner.